Being an Online Italian Teacher is a wonderful opportunity to know personally people from all over the world. 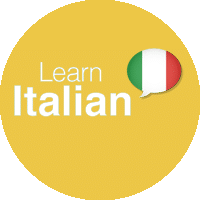 Here below our Italian Teachers Team, each of them will be happy to be your Online Italian Teacher and to accompany you through your learning experience. Ciao! I am Silvia and with great enthusiasm, in 2014 I opened an Online School of Italian. I graduated in Philosophy (University of Rome La Sapienza) and since 2009 with great passion and curiosity I have been involved in teaching Italian to foreigners. After the 2nd level Ditals II Certification issued by the University for Foreigners of Siena, I taught Italian for several months at the University of Galway in Ireland. 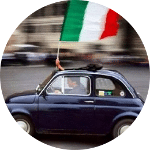 Subsequently, returning to Turin, I taught Italian in the company context (mainly in FIAT CHRYSELER Automobiles) and at language schools in Turin (like Italiano Porticando and CiaoItaly). December 2011 saw the birth of my first son, Isaia, who is a surprise every day, and a few months later I obtained my Master’s Degree in Teaching of Italian as a Non-Maternal Language at the University for Foreigners of Perugia. The Master of Perugia gave me the opportunity, in addition to meeting very valid teachers, also to select some of the teachers who work with me in Italian Virtual School. I love looking at things in depth trying to grasp them in the nature they really have. I think this is also reflected in my way of teaching. I think that learning is an extremely natural process, guiding the student in this adventure is a great pleasure for me. Look forward to you in class! Hi everyone! My name is Benedetta and I have a degree in Far East Asia Languages and Cultures. My wish to learn about different countries and traditions led me to travel almost all around Europe. I have been living and studying in Tokyo and Seoul for several years. While I was working at the Italian Embassy in Seoul my passion for teaching Italian language to foreigners grew more and more. It brought me to achieve the Master in Italian teaching methodology and didactics and the certificate as Italian language examiner for CELI. I also started working as Korean Italian translator for some important Italian publishers. I love cooking, especially home made pasta. According to me cooking is one of the best way to release stress! I like green tea and tteok the typical Korean rice cake. Even if I live near the sea I like going to the mountains and having a walk at high altitude. I love pink and I am fond for history of art above all the oriental one. Teaching is a passion and a family matter. Since I was a child I had contact with the school world thanks to my mother’ s work as teacher. Also, I started with English and French private lessons. I’m from Agrigento a lovely town in Sicily, full of art, history and delicious food. I lived for many years abroad, in Ireland, in Mozambique, in Sri Lanka and I have improved my skills and my teaching method. I can understand very well your feelings about learning a new language because I studied foreign languages: I can speak English, Portuguese and a little French. After my graduation, I have obtained Ditals 2 Certification which is a certificate of Italian teaching for foreign people and I have been teaching Italian for many years. During my experience I have worked with different students, with different background, levels and needs. I also teach economics and legal lexicon. I think the first reason is the love for my mother tongue. I love Italian and I would like to transmit this feeling to foreigners. I am a dynamic and creative person and I like to meet new people and new cultures. Travelling, music, design and photography are my hobbies and it would be great for me to know about your passions and ideas. 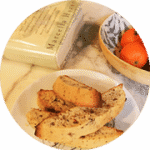 After having lived in Brighton (UK), I got s Master in Teaching Italian as a second language. This Master gave me opportunity to teach at the Monash University of Melbourne, Australia. I am now living in Rome where I am studying Literature, Philology and Italian Linguistics. I teach Italian because I love my Country. Also I love the comparison and the exchange with different cultures from mine and I am sure I have much to learn from you. Reading and writing are among my greatest passions. If you want to talk about Literature too (from Seneca to Virginia Wolf, Thomas Bernhard e Roberto Bolaño, Italo Calvino, Montale e Wallace), let’s know better eachother! My name’s Irene. I graduated at the University of Pisa (where I still live) in Foreigner Languages, my final thesis was about how the adult chinese speakers learn Italian. I got the DITALS Certification and 2 post degree courses in Teaching Italian. My main job is giving Italian courses to foreigner students at the University of Pisa. I also give Italian language lessons to migrants for a no-profit school called C.i.f and lately I started to work with Società Dante Alighieri creating items for the PLIDA certification. I also am a PLIDA examiner at the C.i.f and CILSexaminer for the University of Pisa. Back in time I have taught Italian at the University of Chicago for 6 months and I have travelled between Italy and USA as a facilitator for Pisa University Engineering students. Italian Virtual School also offers an Italian Tutoring Service, so that if you want to have an Italian Tutor that follows you in your learning process, don’t hesitate to contact us or to write at [email protected].